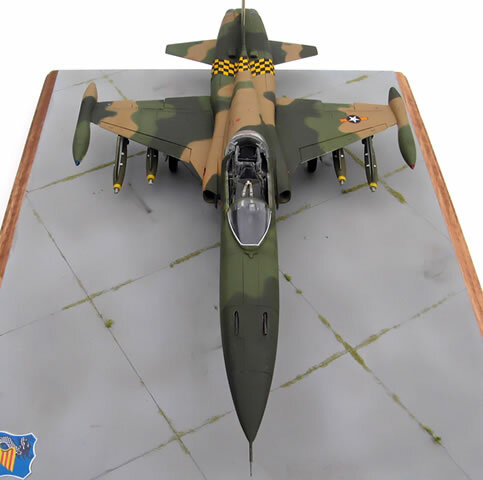 This is the very old 1/48 scale Fujimi F-5A Freedom Fighter kit. 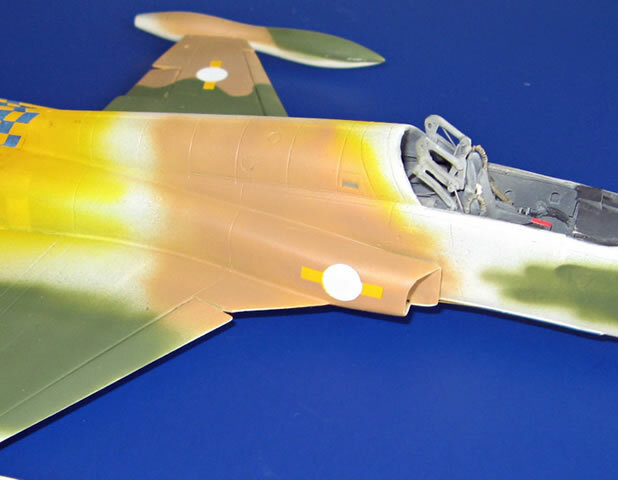 The kit had no cockpit interior details, other than a deformed pilot figure with a side peg that is supposed to glue to the side fuselage. The exterior details were almost non existent. What it lacked in details, however, it made up in shape accuracy, an important foundation to build into a respectable model. 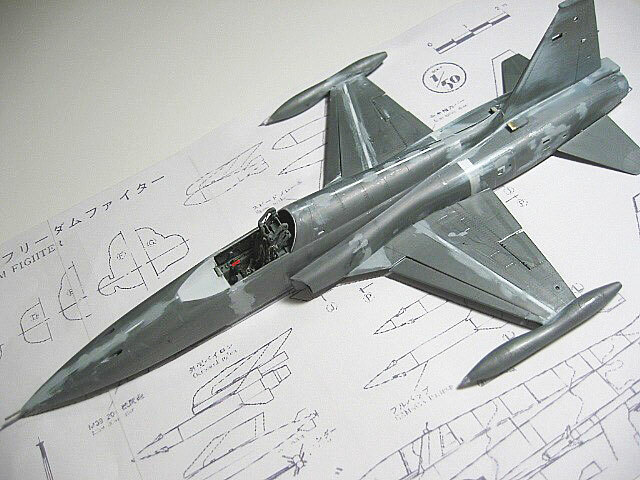 But to build it into a good standard would require a lot of scratch building effort. 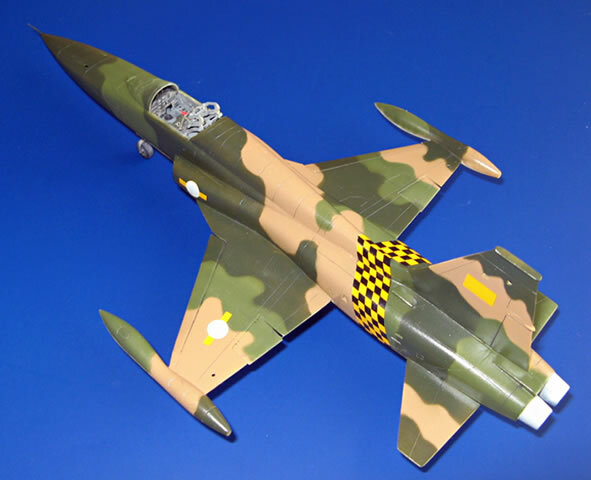 I had originally planned to incorporate the F-5E Black Box cockpit since that closely resembled the F-5A’s, and modified the instrument panel into the F-5A style. 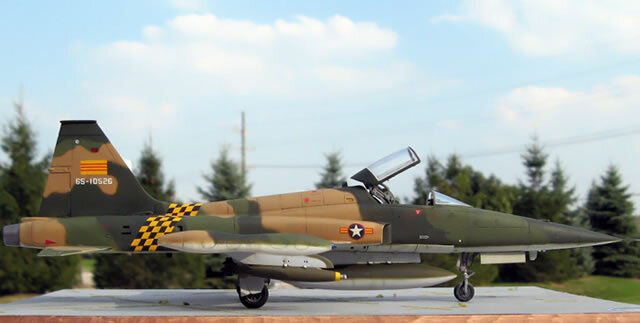 Since the Black Box kit was out of production, I used the 1/48 Monogram F-5E pit as the substitute. This was where the problems began. 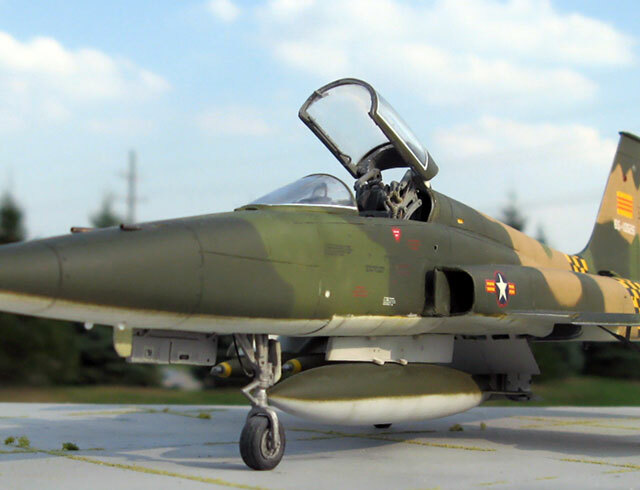 The kit claimed to be 1/48 scale, but when the F-5E pit was placed in, it was too large to fit inside. I suspected the Fujimi kit was undersize. 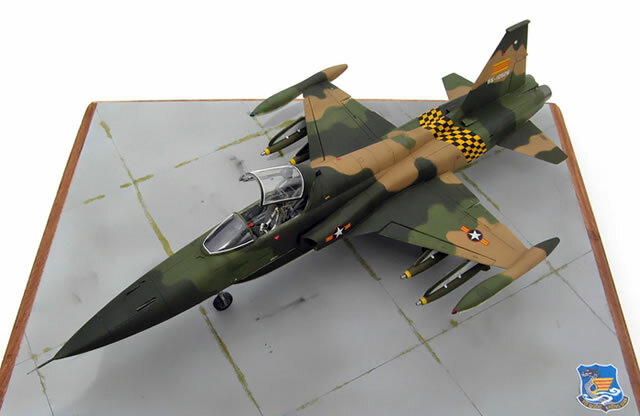 After obtaining information and dimensions for the F-5A on the web, I discovered that the kit scale was close to 1/52 scale. 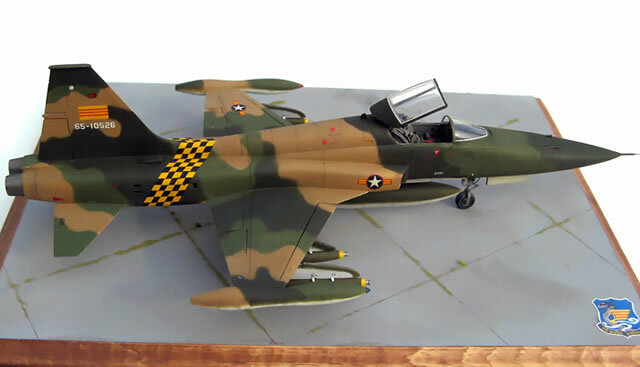 Oddly, the fuselage height was close to 1/50 scale. 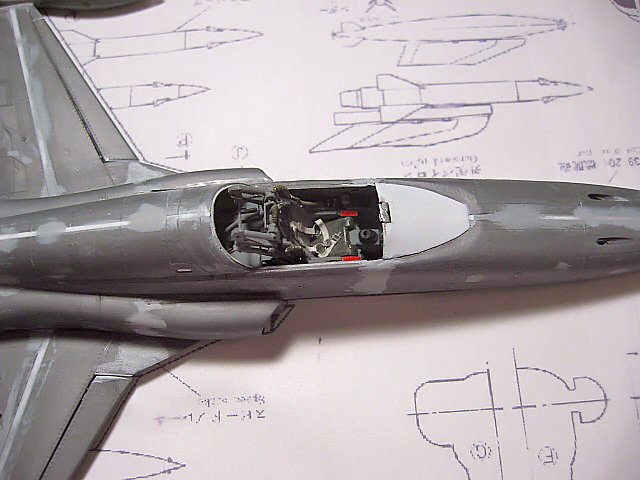 To enlarge the model into a 1/48 scale would be next to impossible due to the complex shape of the fuselage. 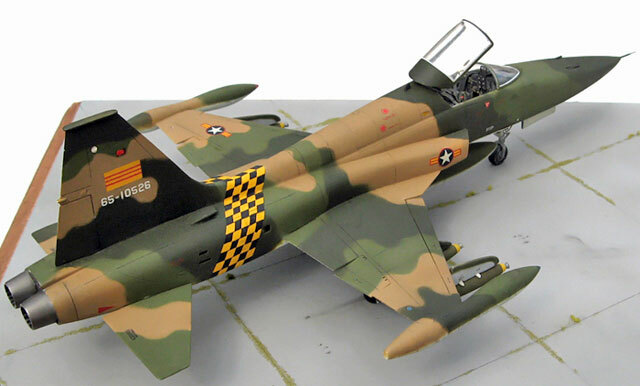 Also, there was no way to add height to the fuselage. 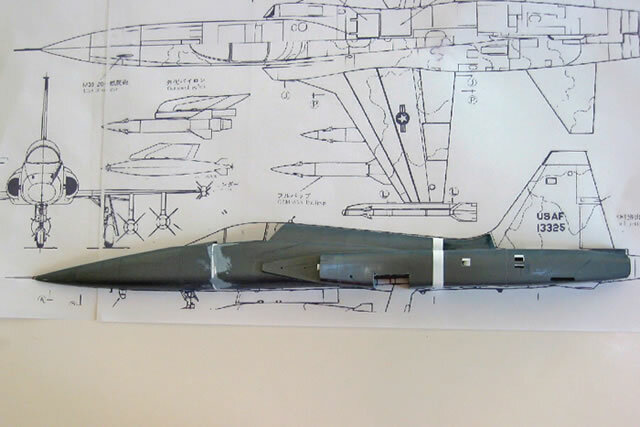 Instead, I decide to make it into a 1/50 scale by adding 14mm to the overall length. 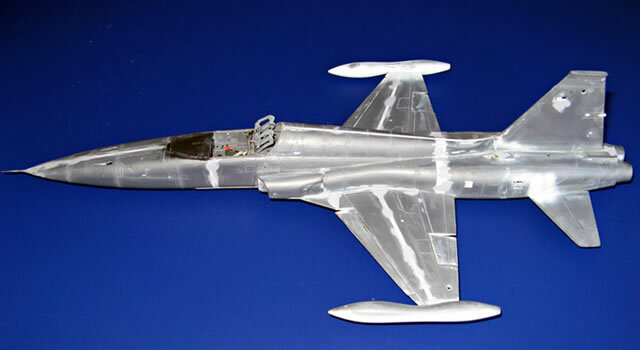 The extensions were added forward of the cockpit and fuselage aft. The cockpit was sanded down to fit in the opening. Not an easy task, but I was able to make it work. 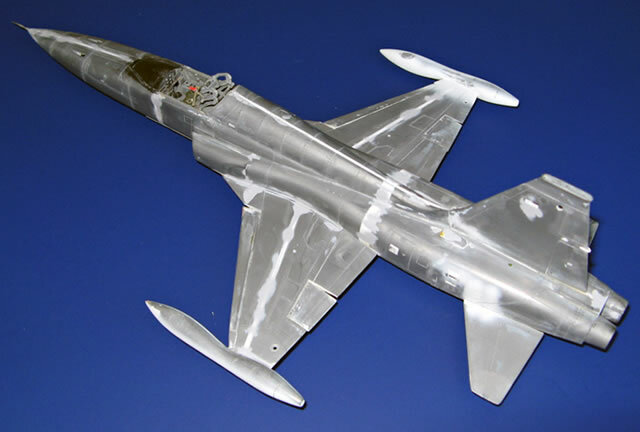 The wings were also extended 4mm on each side, and widened 1.5mm to match the 1/50 scale length. 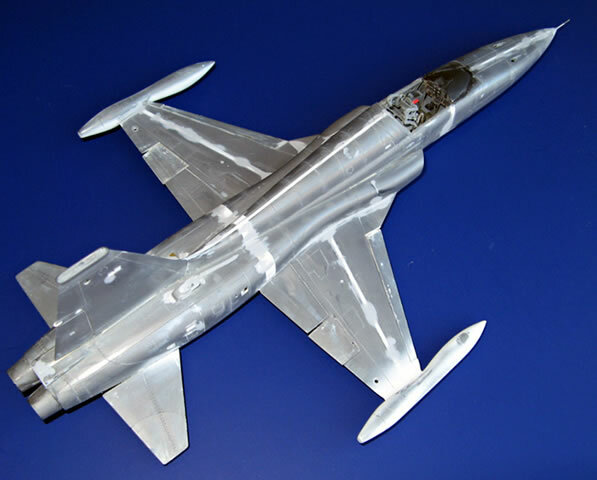 The model now stood 288mm in length, and 154mm wing span. Another big tasks were drilling out holes and vents at various locations; there were 27 of them. Panel lines and access panels were scribed with the UMM razor saw at appropriate places. After the kit was assembled, a lot of sanding and filling with Mr. Surfacer 500 were done to get rid of the surgery scars before painting. 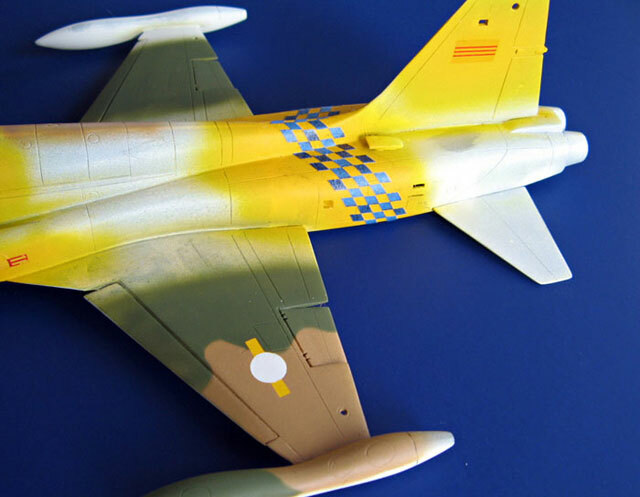 I used enamel paints from Model Master FS color line and did a little tuning of the shades to match the SEA scheme. 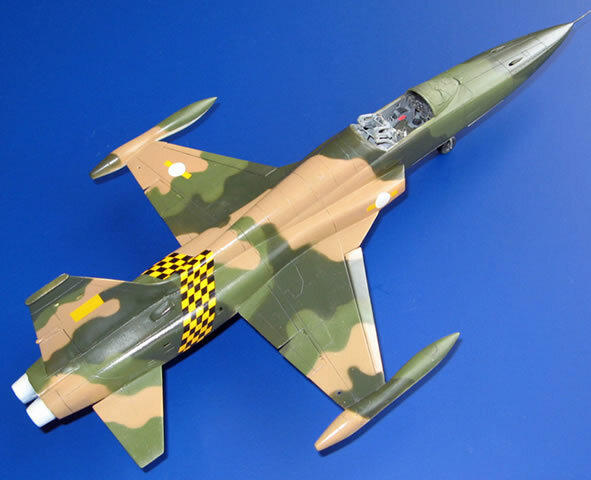 The T-O for Vietnam scheme was: FS34079, FS34102, FS30219 for upper, and FS36622 for lower surface. 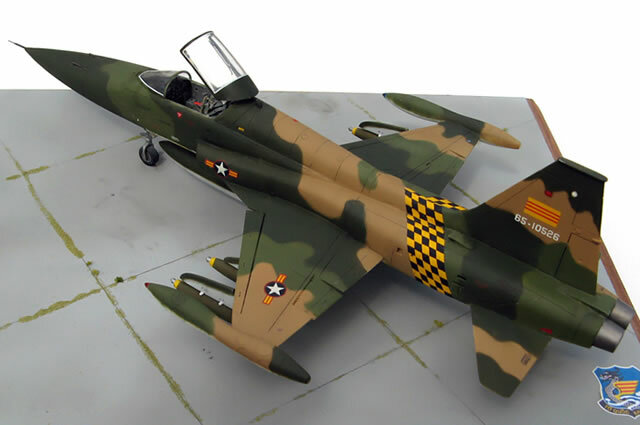 The checker band, insignias and fin flags yellow background were painted first. 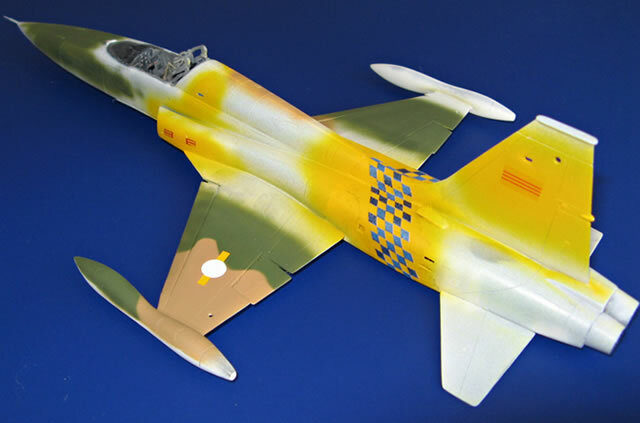 After finished, they were masked and the rest of the fuselage was painted. I mixed the medium green FS34102 with 50% Testor olive green little bottle. 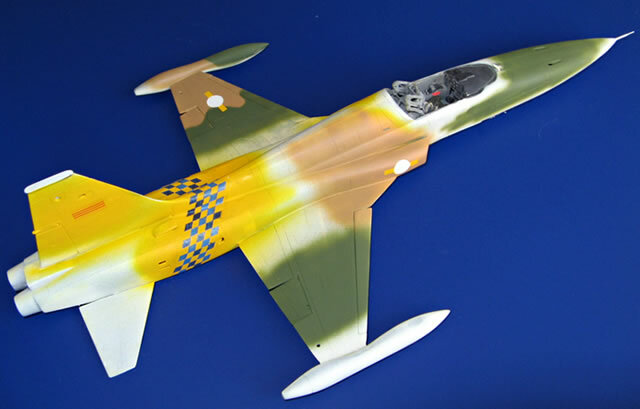 The tan FS30219 was lightened with a mixture of insignia white and yellow. 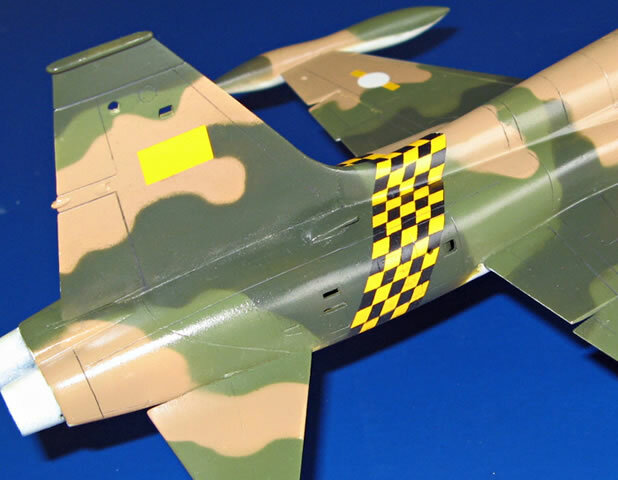 The dark green FS34079 was darkened with 5 eye-drops of flat black into the bottle. 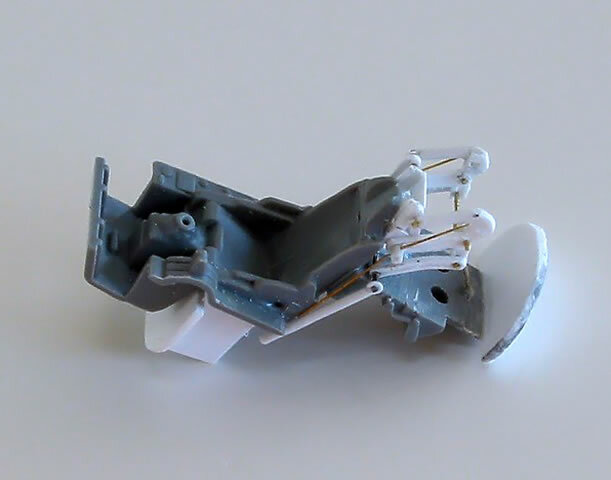 The underside called for FS36622; I added about 50% white because it seemed a little too dark. 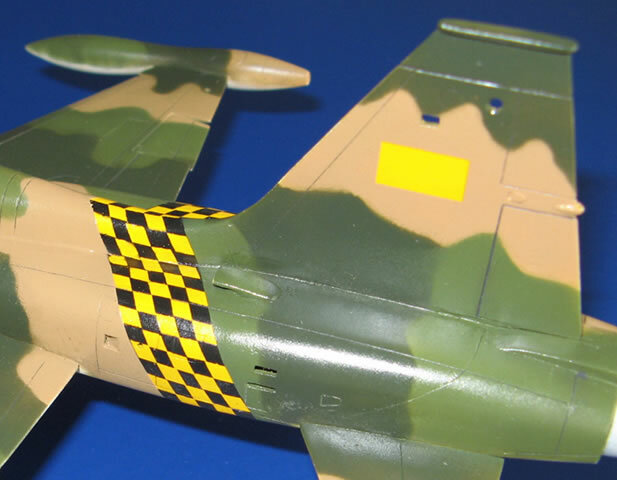 Markings were done using Testors clear decal printed by the HP Photosmart printer. There were some trials and errors went into this task in order to make the marking more presentable. After six months of on and off building, it was finally done. 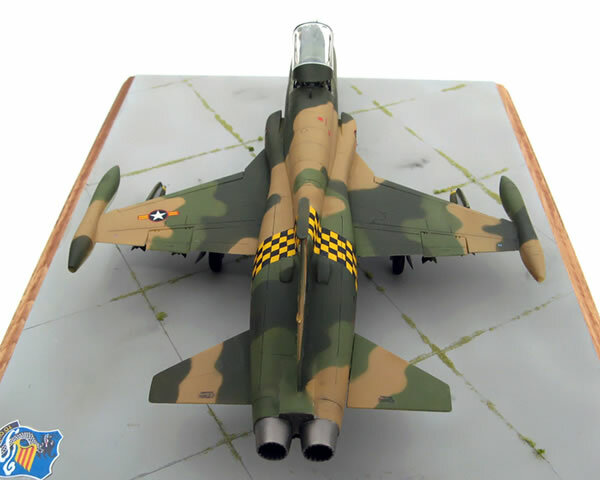 Even though the model was off-scale, it resembled fairly close to the original Skoshi Tiger.